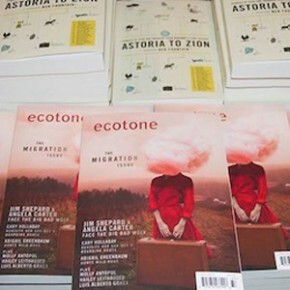 Miha Mazzini, whose story “That Winter“ originally appeared in Ecotone and is now featured in Astoria to Zion, sent us this fascinating brain comparison. Read on to find out why writing is so addictive. I had a chance to scan my brain while doing research for my nonfiction book about writers and creativity, Born for Stories. 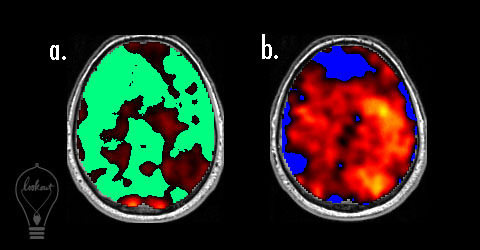 The general rule for interpreting the scans: the brighter the color, the greater the flow of blood. That’s why the act of writing is so addictive, and why we feel so alive when it’s going well, and why agonize when it isn’t. Miha Mazzini is an author, screenwriter, and film director. He has published twenty-eight books in nine languages. His novel Crumbs, originally published in Slovenian, is now available in English.